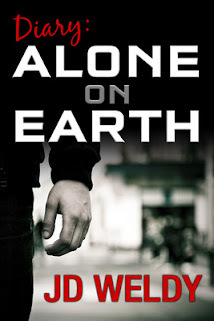 I read with interest an AP story about how some blue-collar baby boomers will not ever retire. The reason they are unable to retire is because they just don't make enough money to sock it away for retirement. The story gave anecdotal evidence of this with the subject being a logger from the state of Washington, Tom Edwards, age 53. The logging industry is in a slump, and Mr. Edwards is unable to put any money into savings for retirement as a result. "It's never going to happen. By the time I reach retirement age, there won't be Social Security. There's not going to be any money," Edwards said. "I'll do like my father did: I'll work 'til I die." There is ample evidence Mr. Edwards is not alone in this belief. Approximately 78 million Americans, born between 1946 and 1964, have either retired or are still working out of necessity. Most are blue-collar workers like Tom Edwards. Many baby boomers now expect to work the rest of their lives. Most fear that Social Security will not be enough to fund their retirement years. So, they think they will work until they die as Mr. Edwards stated about his father. The story goes on to state that many baby boomers do not have the financial literacy skills necessary to prepare for retirement. This is very true. I have discussed this very subject at length on my retirement blog, The Retirement Life. 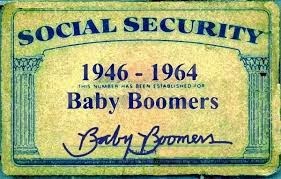 While I disagree there will be no Social Security (which is the popularly held belief) benefits when the rest of the baby boomer generation retires, I do think it is possible that people will face reduced benefits. That may include those of us currently on Social Security as well. That is a real possibility and danger that worries me. But, while I totally sympathize with those whose financial situation precludes them from saving for retirement, I must continue to say they can't afford not to save for retirement. Now, I know you can't squeeze blood from a turnip as the old saying goes. But, these people who say that retirement is a fantasy need to remember that as you get older, your health starts to deteriorate. I never took any type of prescription medicine until I turned 50. When I turned 55, I started having severe back problems (I had back surgery 10 years prior that didn't not help me at all). At age 60, I had emergency gall bladder surgery that nearly ended my life. Just last year, age 62, I had to be hospitalized for Diverticulitis. I have had an assortment of problems since my mid-50s. Chances are people such as Mr. Edwards will also. It will be a difficult chore for him to work if he has back problems (which will happen since he is a logger). My point is that people who say they can't afford to save for retirement may not be able to work even if they wanted to in their 50s and 60s. Saying I'll work until I die is easy to say when you don't know what your health will be in a year or five years. I don't know the answer for these people as they continue on in their working lives without saving for retirement. But, ignoring the problem will not fix it. Even if they could only save $100 a month (just $25 a week), that would be a big help to these working baby boomers. They simply can't realize this right now. But, they will realize it when it's too late. Can't afford to save for retirement, my fellow baby boomers? I say you can't afford not to save.